Home>New Mixtapes>DJ Muggs Mixtapes> DJ Muggs & Mach Hommy Drop Off "Tuez-Les Tous"
DJ Muggs has been one busy guy over the past year and some change. 2018 saw him releasing a ton of music including his own solo album and Cypress Hills' Elephants On Acid. He linked up with a few rappers for collaborative projects such as Frozen Angels with Mayhem Lauren and the Roc Marciano joint effort, Kaos. Now, he links up with Mach Hommy for their new joint effort titled, Tuez-Les Tous. DJ Muggs and Mach Hommy to deliver some gritty hip-hop vibes on their new joint project together. The effort consists of 12 new tracks including the previously released single, "Stain Glass." Mach Hommy and DJ Muggs also enlist a few artists for some assistance. Tha God Fahim makes three appearances throughout the project. Tuez-Les Tous also hails features from Mayhem Lauren, Kungg Fuu, Big Cheeko, and Your Old Droog. 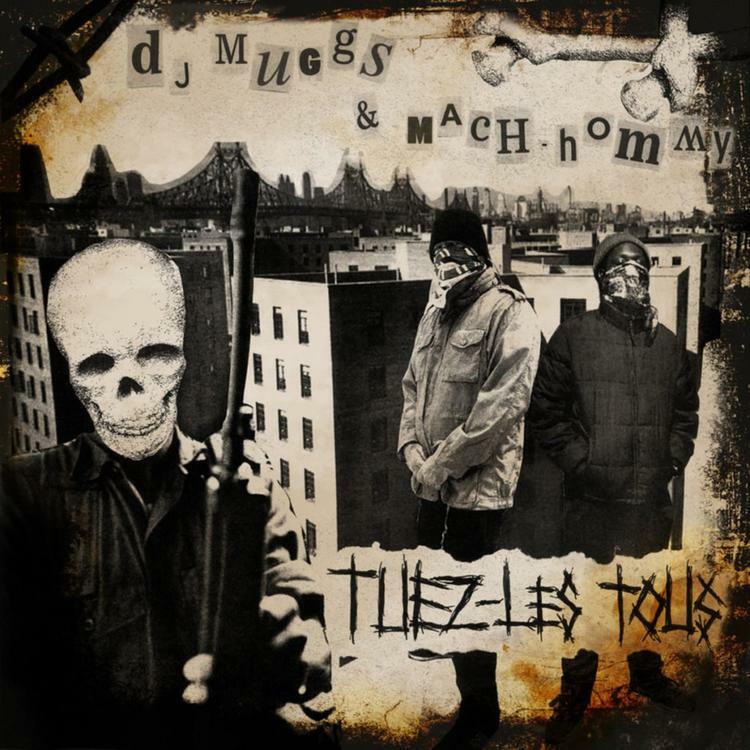 MIXTAPES DJ Muggs & Mach Hommy Drop Off "Tuez-Les Tous"